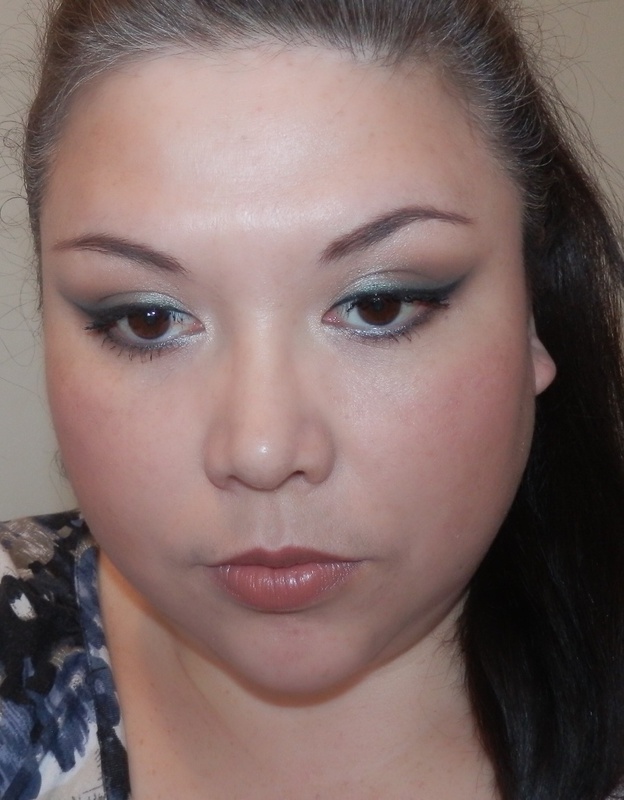 I am a huge fan of Makeup Geek eyeshadows. I think Marlena (owner of Makeup Geek) is fantastic. She really did a great job creating these. I have posted previously about my first purchase of MUG shadows. For $5.99 a pan, Makeup Geek eyeshadows are quite affordable for those who want to choose their own colours and create their own palettes. Makeup Geek also offer these shadows in pot form at $7.99 a pop as well as starter sets. 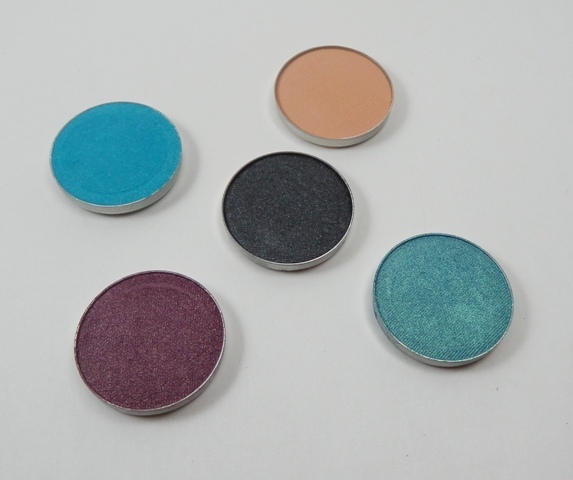 The formulation of these shadows are buttery, pigmented and they blend pretty good. You need to apply these with a gentle hand as they go on quite dark. Beaches and Cream is the perfect match for my skin tone. It just blends away. Galaxy had a teeny bit of fallout. I have to remember to be gentle with this one and not smash my brush in the pan HAHA. I have been wishing for Mermaid. It is not a colour I would normally wear but it is just so freakin’ pretty. So I had to wear it ASAP! A big thank you to Phyrra and a thank you to Makeup Geek! It is a nice colour. I live using it to blend out harsh edges. I need ALL of the MUG shadows! I'm sooo scared to use some of the brighter colours. You really did a great job with your makeup. :) I'd love to try the beaches and cream. I'd use it as a lid colour for work. I like bright colors but since I was heading to work I toned it down. So I use colour in small doses so I don't look like Mimi haha. Beaches and Cream would look great on you. But it a dupable colour. I think Annabelle has a shadow just like it. I think I might have it. I will have to dig around my stash.